Product code: 513 Categories: Sold Items, Sold Rolex Watches. Here we have a brilliant vintage Rolex Oyster Perpetual Chronometer certified Turnograph watch in 18ct and stainless steel – also known as the “Thunderbird” model. 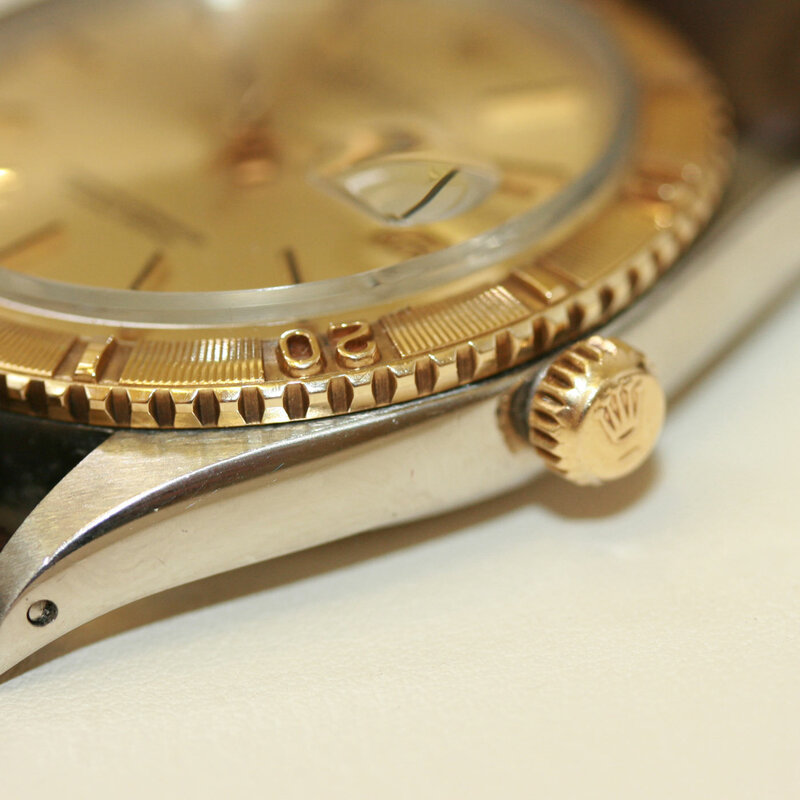 With an 18ct rotating bezel, this Rolex dates from 1972 and is in excellent condition. The Rolex calibre 1570 26 jewelled automatic movement is Chronometer certified and adjusteds to 5 positions and has been serviced. A very interesting looking vintage Rolex that looks so nice on the wrist.